Join Nomi and Hannah on Wednesday mornings in the program room! The Parent-Child Mother Goose Program provides young children and caregivers a time to enjoy songs, rhymes, and playtime. Free of charge. 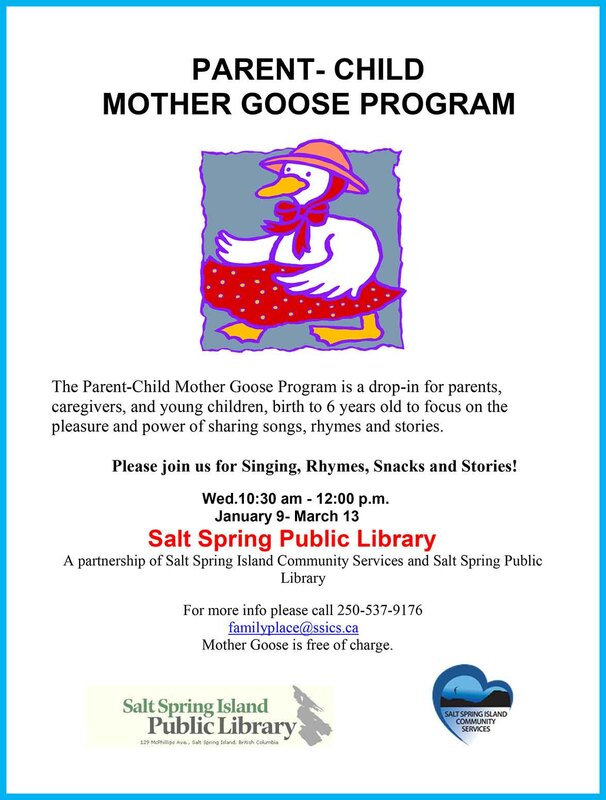 Presented in partnership with Salt Spring Family Place. Please note: Songs and Stories with Nomi runs at the same time on Wednesday mornings when Mother Goose is not in session.